U.S. Secretary of State Mike Pompeo urged the international community to support the Venezuelan people and recognize the interim government of opposition leader Juan Guaido as he stands up to disputed President Nicolas Maduro. Several European governments, including Britain, Spain, Germany and France, said Saturday they would recognize the 35-year-old Guaido as president if no election is called within eight days. The United States requested the Security Council meeting. Pompeo was accompanied by his newly appointed special envoy for Venezuela, Elliott Abrams. 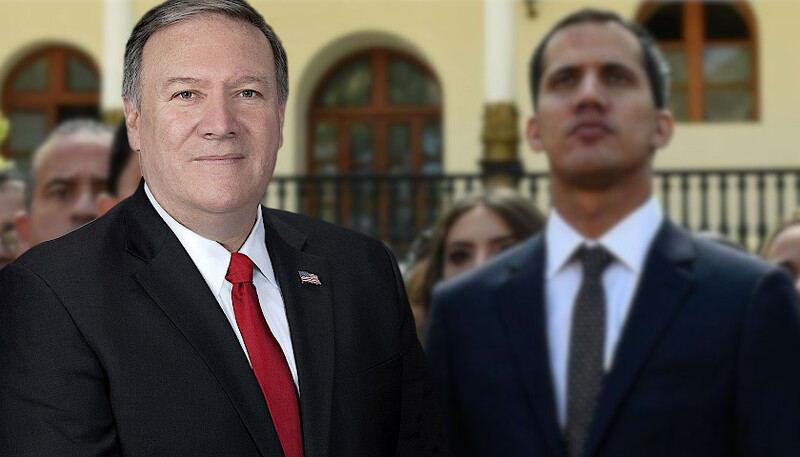 Pompeo called the Maduro regime an “illegitimate mafia state” and criticized countries including Russia, China, Iran and Cuba for supporting him. Russian envoy Vassily Nebenzia shot back that regime change is “a favorite geopolitical game of the United States,” and he asked Secretary Pompeo directly whether the Trump administration plans to militarily intervene in Venezuela. Pompeo offered no response at the meeting and sidestepped a reporter’s question about it during a brief interaction with the press, saying he would not speculate on what the U.S. would do next. Venezuela held presidential elections on May 20, 2018. Many voters boycotted, saying the polls were not free and fair. Several opposition members also were prevented from running. Incumbent president Maduro won with nearly 70 percent of the vote, but the results have been challenged both domestically and abroad. He was sworn in for a second six-year term on January 10. On January 23, the democratically-elected National Assembly — which is controlled by the opposition — declared Maduro’s rule illegitimate. Invoking constitutional provisions, National Assembly leader Guaido declared himself interim president until there are new elections. Maduro has accused Washington of instigating a coup d’état and told U.S. diplomats to leave the country. His foreign minister traveled to New York for the Security Council meeting. Minister Jorge Arreaza told the council that despite Washington’s intervention and tweets from Secretary Pompeo and Vice President Mike Pence that he said incited and support the opposition and urge security forces to defect from Maduro, his government is still willing to talk to Washington. He also dismissed the eight-day deadline from the Europeans. He also took a swipe at Washington for past interventions in Iraq and Libya and the Trump administration’s recent announcement that it will pull its small military force from Syria. Several Latin American countries sent envoys to the meeting. Peru, a Security Council member, said it has been directly affected by the exodus of some 3 million Venezuelans fleeing the violence and humanitarian crisis. It has received 700,000 refugees. Colombia, which has taken in more than 1 million Venezuelans, sent its foreign minister. Carlos Trujillo asked the council to help his country address the refugee crisis and support the delivery of humanitarian aid to Venezuela. He also appealed to the council to protect opposition leader Guiado and members of the national assembly. He urged new free and fair elections. But other Latin American countries, including Bolivia and Cuba, came to express support for Maduro. “The protracted crisis in the country has had a grave impact on the population, with high levels of political polarization, growing humanitarian needs and serious human rights concerns,” DiCarlo said.